•nth derivatives of product of two functions and polar curves. •Reduction formulae of integration; To solve First order differential equations. •Solution of system of linear equations , quadratic forms. Standard functions - Problems. Leibnitz’s theorem (without proof) - problems. Taylor’s and Maclaurin’s theorems for function of one variable(statement only)- problems. Evaluation of Indeterminate forms. Irrotational vector fields. Vector identities - div(ɸA), curl (ɸA ), curl( grad ɸ), div(curl A). Reduction formulae - (m and n are positive integers), evaluation of these integrals with standard limits (0 to π/2) and problems. Solution of first order and first degree differential equations – Exact, reducible to exact and Bernoulli’s differential equations .Orthogonal trajectories in Cartesian and polar form. Simple problems on Newton's law of cooling. Eigen values and Eigen vectors, Rayleigh’s power method to find the largest Eigen value and the corresponding Eigen vector. Linear transformation, diagonalisation of a square matrix . •Use partial derivatives to calculate rates of change of multivariate functions. •Analyze position, velocity, and acceleration in two or three dimensions using the calculus of vector valued functions. •Use matrices techniques for solving systems of linear equations in the different areas of Linear Algebra. •The question paper will have ten questions. •There will be 2 full questions(with a maximum of four sub questions) from each module. •Each full question will have sub questions covering all the topics under a module. •The students will have to answer 5 full questions, selecting one full question from each module. 1. B.S. Grewal, "Higher Engineering Mathematics", Khanna publishers, 42nd edition, 2013. 2. N.P.Bali and Manish Goyal, "A text book of Engineering mathematics”, Laxmi publications, latest edition. 3. H.K. Dass and Er. 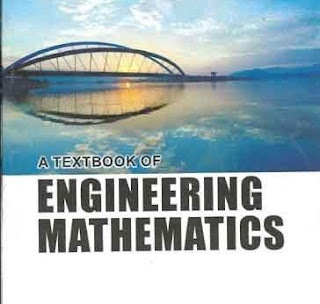 RajnishVerma, "Higher Engineerig Mathematics", S.Chand publishing, 1st edition, 2011.